One of the ways to practice gratitude is to give to others. I've said something about this before, but I have a critical side to my nature. - I know. On the blog I'm all sunshine, sparkles, and a spoon full of sugar, but my real life nature has a tendency to be and to see things with a critical eye. "Oh honey, did you brush your hair today? If you would just do it this way..."
"Oh honey, those pants are awful. Don't you own anything that fits?" "Oh honey, you look like you've gained weight. Here, have a piece of pie." 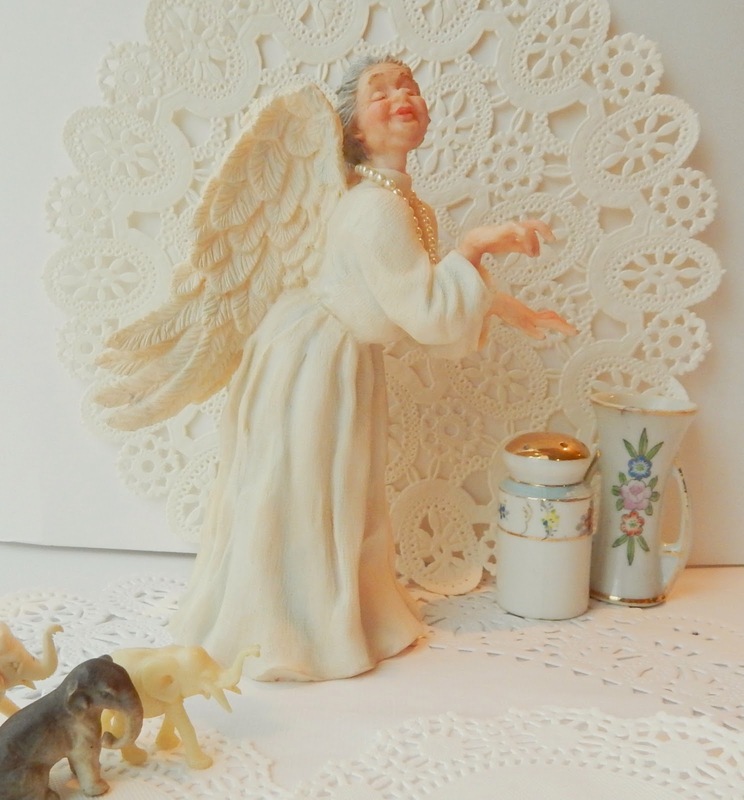 My Grandma gave me this angel a couple of years before she died. She said, "Oh doesn't this remind you of me and the way I am with you? I know I pick at you, but it is because I love you so much and want the best for you." She loved the expression on the angels face and they way her hands are just "Pick, pick picking..."
And though I loved my Grandma, and I love this very special memory of her, she gave me that angel to remind me that her picking wasn't meant to hurt me. Sometimes it did hurt me. Now I hear those things coming out of my own mouth. Or worse. I pick, pick, pick about homework, house work, money, all the pressures that can be overwhelming, all my worries spill out of my own mouth in a negative and spill out onto the family that I love most. And if they don't spill out, they are in my head crowding out all my joy and happiness. It takes 21 days to make a habit. I know I said that before, but hey, I'm working the repetition so I can build a good habit! This week I am going to give some of my gratitude away. I am going speak positively to the people in my life everyday. I'm going to pass out hugs, smiles, a few sloppy kisses, and say, "You look great, have a Reses Peanut-butter Cup!" Gratitude is not one of those things you keep to yourself. You have to spread it around so that it gets everywhere. (hey, Kinda like a Glitter Bomb!) Who are you going to spread the gratitude on today? I miss my grandmother.. she raised me ..my sister and my first cousin. She was not an easy woman but I knew it was for my own good. She taught my all I needed to be a wonderful person..mother and wife... other things I had to learn on my own. I appreciate her so much. What great reminders. Thank you!! What a lovely post! I need to check myself all the time like that too! And I am forever praying for patience and to be mindful of my sometimes a bit too much "smartty pants" mouth! This is such a precious post! Love all that craft yumminess and you are right....you go spread that gratitude around, that's the only way! :) Thank YOU for posting this and hope you are feeling better! :) Blessings! What a sweet little grandma angel you have even if she is picking. I'm sort of obsessed with your little elephants though! Oh, and get to feeling better dang it! Thank you for the gentle reminder, Dana - perfect timing! I think that 21 reps does the trick everytime... at least if there aren't days in between =D Good desicion you've made - there couldn't be too much kind words. 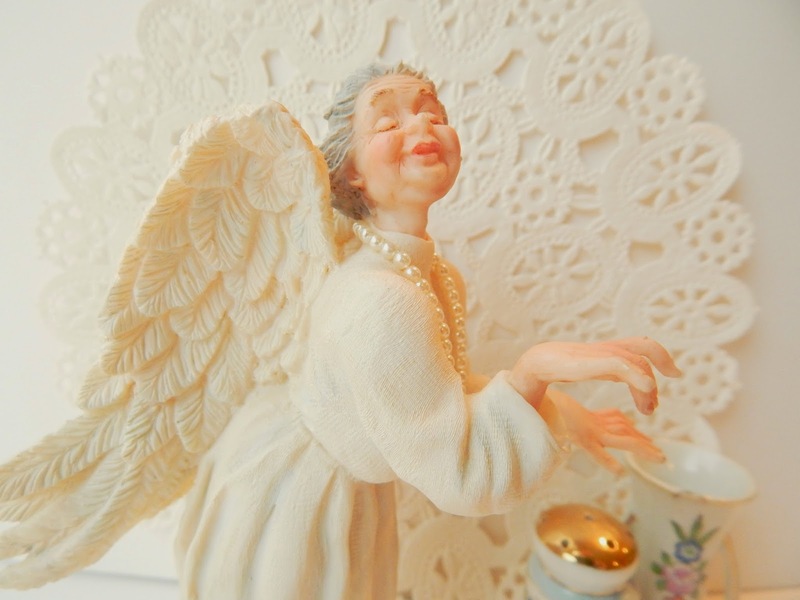 Love that granny angel and that your granny realized she was nit-picky with you.